WhiteOUT offers space efficiency and a clean design with instantaneous opaque privacy or transparency to elevate both commercial and residential projects. NanaWall Systems, the pioneer of the opening glass wall category, will feature its operable glass wall systems at PCBC in the San Francisco Moscone Center, June 27-28 in booth 1735. 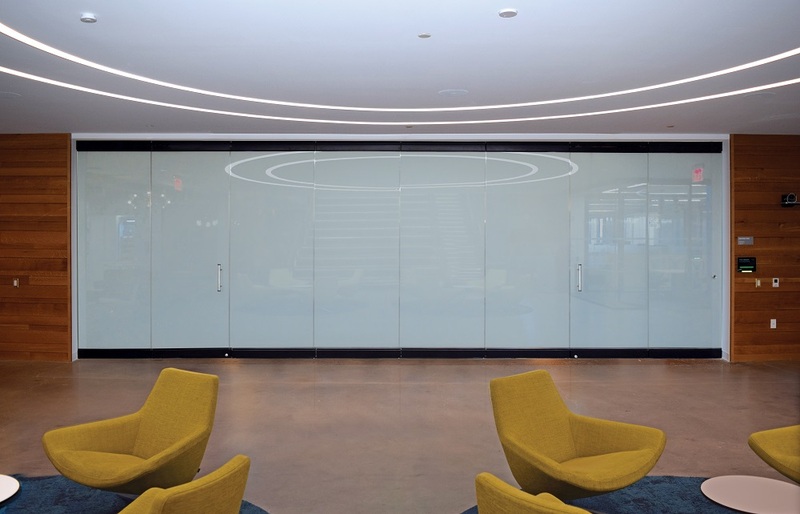 NanaWall recently introduced WhiteOUT™, the first individual panel frameless opening glass wall system that provides visual privacy or transparency on demand. The opacity allows the system to be used as a whiteboard or projection screen for maximum space efficiency at the touch of a button. When not in use, the glass panels can be stacked remotely and out of sight to allow for a flexible connectivity of spaces. NanaWall also recently unveiled NanaWall 3D Visual Studio—an exclusive, cloud-based design tool that provides architects with an interactive solution to visualize and animate their design using NanaWall Single Track Sliding glass walls. The tool renders and emails consolidated CAD and PDF files of design drawings, making it easy to incorporate the system into the project. The company’s cero® glass wall has also recently achieved an STC 43 sound rating for interiors with the Flush Sill option. The ADA compliant Flush Sill is the shallowest available in the large panel minimal sliding glass wall industry, making it optimal for interior construction. Cero’s double glazed option combined with the Flush Sill offers architects a new design choice for interior applications requiring acoustical privacy, such as conference rooms.